WE DEALS WITH ALL TYPES OF PROPERTY LIKE SALE, RENT & BUY. 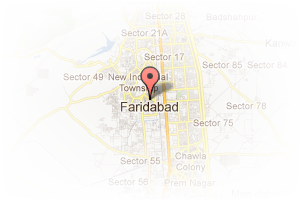 Address: MALL ROAD B-114,GARG PROPERTIES & CONSTRUCTION, Greenfield Colony, Faridabad, Haryana, India. This Broker Profile page for "Garg Properties & Constructions" has been created by PropertyWala.com. 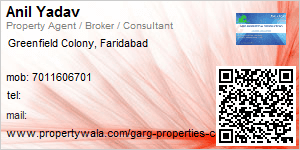 "Garg Properties & Constructions" is not endorsed by or affiliated with PropertyWala.com. For questions regarding Broker Profiles on PropertyWala.com please contact us.